You can book at Soul Hair Grange online using our Book Now button located above. Select from a list of services offered, pick your favourite Soul Hair staff member and book from the dates available. Hair is not just about cut or colour … it is about how it makes you feel. You know the feeling of great hair. A brilliant style gives you an air of confidence, a bounce in your step and the feeling that you can take on the world, or at least tackle what life throws at you today. That feeling is what we at Soul Hair Designs aim to deliver to every client with every style cut and colour. Our creative team listens, we care and we create the look that reflects the individual. We have been styling, straightening, colouring and curling women’s hair, men’s hair and children’s hair in our hairdressing salon in The Grange since 1998. 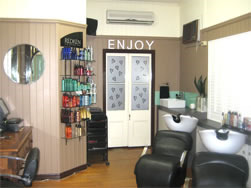 We have also styled wedding hair, upstyles and formal hair for hundreds of memorable weddings and events in Brisbane. Contact us today for a complimentary consultation and get that great hair feeling. We know hair. We love hair. We create hair that reflects you.